The US Defense Department is investigating reports that dozens of US Marines shared “hundreds – possibly thousands” of naked photos of female recruits, veterans, and other women on a secret Facebook page, many of whom were unaware they had been photographed. The photographs were reportedly shared on a page entitled ‘Marines United’, which boasted some 30,000 followers, triggering an avalanche of obscene comments, according to the Center for Investigative Reporting (CIR). The closed Facebook group’s membership allegedly consisted of active-duty and retired male Marines, Navy personnel, and British Royal Marines. More than two dozen active-duty women, officers, and enlisted service members were identified by their rank, full name, and location in the photographs posted on the Facebook page, according to CIR. Some containing active duty and veteran women were also posted and linked through a Google Drive link, the report said. CIR reports that, in one case, a female corporal pictured in uniform had been followed at Camp Lejeune in North Carolina by a fellow Marine who secretly photographed her. Rude comments reportedly burst through like a flood after the picture was posted to the ‘Marines United’ page. 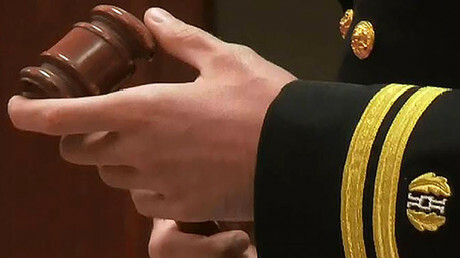 “These negative behaviors are absolutely contrary to what we represent,” Sergeant Major Ronald L. Green, the top enlisted man in the Marine Corps, said in response to the CIR report, as quoted by AP. The embarrassing activity on the ‘Marines United’ page was revealed by the War Horse, an NGO news organization run by Marine veteran Thomas Brennan. Within a day of Brennan getting in touch with the Marine Corps on January 30, the social media accounts involved in the sharing were removed by Facebook and Google at the Corps’ request. The Naval Criminal Investigative Service (NCIS) is investigating the incident. “We are thankful that Thomas Brennan, a Marine veteran, notified the Marine Corps and NCIS about what he witnessed on the ‘Marines United’ page,” Marine Corps spokesman Captain Ryan E. Alvis said, as quoted by AP. “It allowed us to take immediate action to have the explicit photos taken down and to prepare to support potential victims,” he added. A Marine Corps official speaking on condition of anonymity told AP that at least one government contractor had been removed from his job for posting a link to the photos. According to an internal Marine Corps document cited by AP, a former Marine maintained the Google Drive account. The NCIS investigation is “in support of two individuals affected by postings,” according to the document. 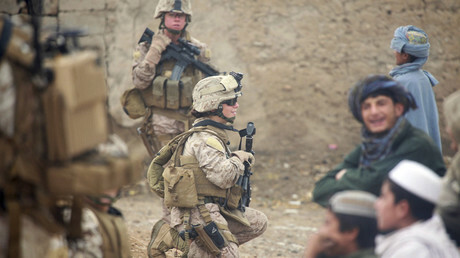 A Marine proven to have posted an explicit photo of another person could potentially be charged with violations of the Uniform Code of Military Justice, while a Marine who directly participates in, encourages, or condones such actions could be subjected to criminal proceedings or punitive administrative actions, the internal document said. “The military men and women who proudly volunteer to serve their country should not have to deal with this kind of reprehensible conduct,” Smith said. According to an annual report released by the Pentagon in May of 2016, the US military received a total of 6,083 reports of sexual assault in 2015, while noting that such crimes are underreported. “Our efforts are having an impact, but there are still many hurdles to overcome,” Army Major General Camille Nichols, director of the Department of Defense’s Sexual Assault Prevention and Response Office, said. “Reporting the crime is essential for our ability to bring care and advocacy to survivors, and hold offenders appropriately accountable,” she stressed.